Okay, that's a pretty one-sided review, but let me tell you the reasons we love Ting. Ting doesn't make things complicated. They have zero contracts and their website is super easy to use. 3. You never get put on hold. How annoying is it when you call a customer service number and you have to go through an entire menu, only to be put on hold? More annoying than a mosquito in your bedroom at night, that's for sure. With Ting, you call and the line starts ringing and someone picks up! It's amazing! I've also had to use their online form to submit a question, and I received a helpful response within the hour. 4. It runs on the Sprint network. This factor could be good or bad for people, depending on Sprint service in your area. For us, it's great -- we've never had any issues with service. As an added bonus, you can take almost any Sprint phone to Ting. 5. You can get inexpensive phones off eBay. The phones on Ting's website are pretty costly (for us cheapos), so I ordered Sprint phones off eBay. J got an HTC Evo Shift for $80 and I got a Samsung Google Nexus S for $60. Both phones are contract-free! If you go this route, just be sure the phone has a clean ESN. A bad ESN will not allow you to activate the phone. The not-so-great features of Ting: They don't have any local retail stores, so you need to do everything online. If you are bringing over a phone from Sprint, you need to do all the nerdy stuff on your own. Ting provides very helpful guides, but it can still take a few hours to get everything up and running. Switching to Ting = Saving $60/month for us. If you are interested in learning more about Ting, visit using my referral link and save $25 on your first month of service or a new Ting phone! This review is in no way sponsored by Ting. My husband has a Blackberry with AT&T, would he be able to bring it over to Ting? Hi Shannon! Unfortunately, he wouldn't be able to with the Blackberry. 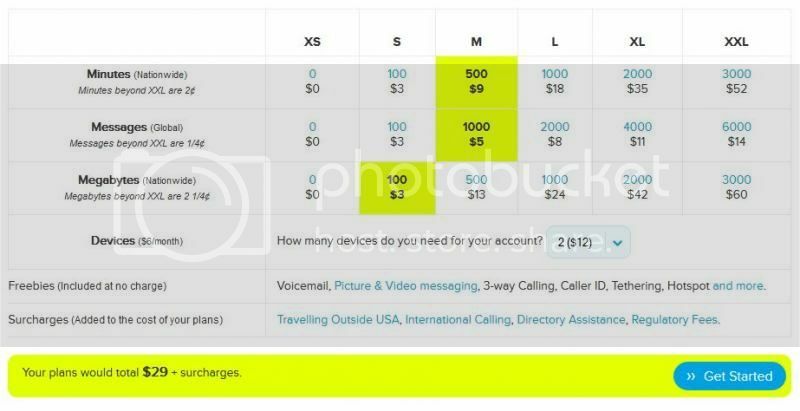 Since Ting runs off of Sprint's towers, only Sprint phones are able to switch over to the Ting service. I purchased Sprint phones from eBay that were new or in like-new condition. If you're looking for a low-cost route, I would suggest eBay. Just be sure that the seller has listed that the phone has a clean ESN.